For some reason I got to thinking about the combination of smoked paprika and parsley (I do think about food a lot on my long, gruelling commute!) and pondered how I could combine them in a interesting way. Obviously smoked paprika works perfectly in stews or sauces, but I had a feeling that some kind of patty would also work well. 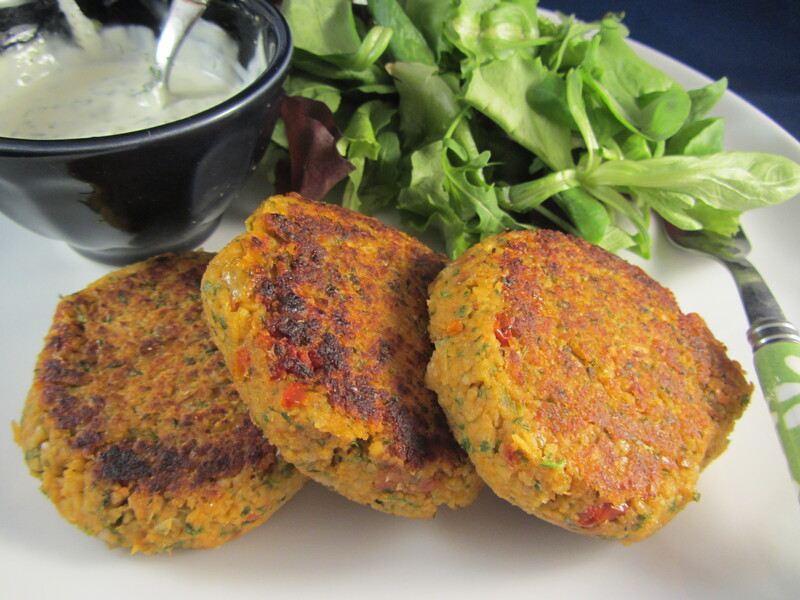 In fact these little burgers of chickpeas, parsley and smoked paprika work a treat and will make a good choice for a picnic or barbecue. They work especially well with the lemon and garlic mayo. 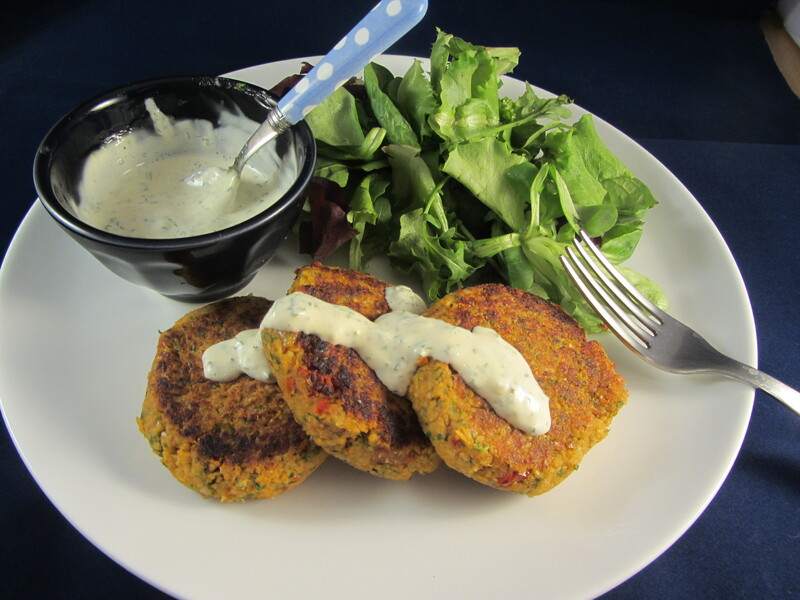 The only question is what to call them – they’re a kind of falafel as they’re made of chickpeas, a kind of burger, patty, cakes – in the end I opted for falafel patties to cover as many bases as possible! 2 tsps smoked paprika, use the sweet variety unless you like it HOT! – Blitz the chickpeas in a food processor until resembling breadcrumbs. – Drain on kitchen paper and serve with the lemon and parsley mayo. 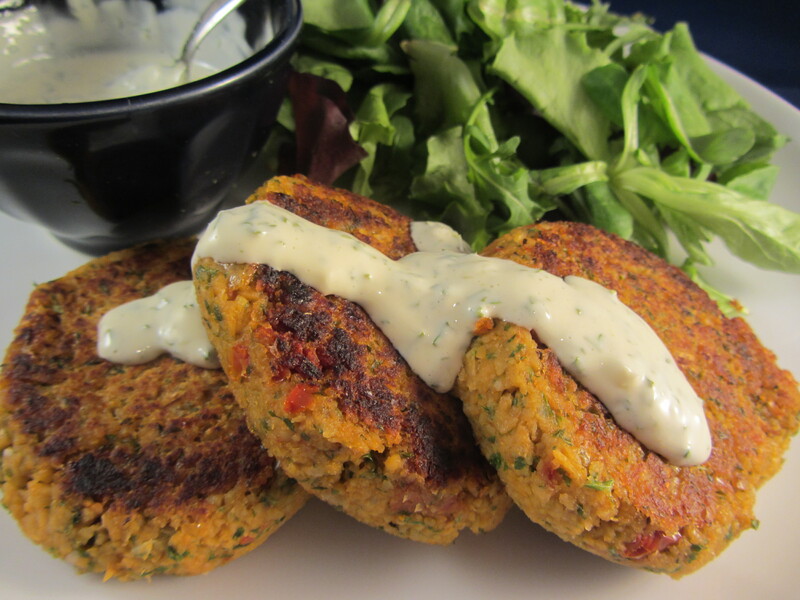 You’re Falafel Patties look delicious, and I love how you’ve changed up the spicing! Yummy!! I love smoked paprika! Miam miam! This looks scrumptious!